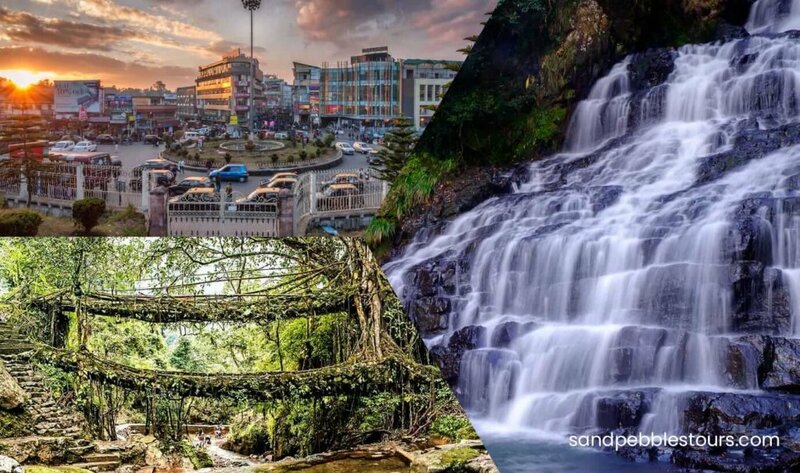 Known as the “Scotland of the east”, Shillong boasts of a rich natural beauty. The beautiful lakes, green mountains, pine forests and waterfalls are the reason best justifying this honour. Shillong is a fantastic place full of hidden adventure. Nestled in the midst of nature’s rich bounty, this city brings together a blend of rural and urban that makes visiting it a particularly enticing experience. The Shillong Holiday Tour Package gives you the pleasure of visiting this enticing land. The city of Shillong offers a plethora of good experiences to tourists from food trails to cultural expeditions to music festivals. The Shillong Holiday Tour Package ensures you get the experience of the true Shillong. A leisurely walk along the city streets and nearby forest areas is a must-have activity on Shillong tours. You can cover most of the areas on feet, like the main market Lewduh, which is home to numerous shops. The mountainous landscape around Shillong also makes it a great place for adventure activities. When here, you can try a hand at rock climbing, rappelling, paragliding, river rafting and trekking. Shillong Holiday Tour Package will give you a variety of adventure options to try on your tour. The place, the people and the climate all combine to create an atmosphere to make Shillong an ideal holiday resort. Plan a tourism, travel to Shillong and its various tourist attractions with Shillong Holiday Tour Package. Meet and greet by our representative at the airport & transfer to Shillong, called as ‘Scotland of the East’. Enroute you can visit Umiam Lake, a majestic placid lake with its surrounding sylvan hills. On arrival at Shillong, check in at your hotel. Evening visit the markets in the Mall, back to the hotel. Overnight stay at hotel. After breakfast drive to Cherrapunjee, the wettest place in the world. The beautiful waterfall-Nohkalikai is at Cherrapunjee. You can also explore some of the caves in and around Cherrapunjee. Evening return to Shillong, en-route visit Elephanta falls and Shillong peak for some breathtaking views. Overnight at your hotel in Shillong. After breakfast visit Don Bosco Monument, Ward’s Lake, Botanical Garden and Lady Hydri Park. Evening free for personal activities. Overnight at your hotel in Shillong.